Long-time Atlanta resident, tennis volunteer and former USTA Southern staffer Eddie Gonzalez has been named the BB&T Atlanta Open Tournament Director and Chief Development Officer, USTA Southern Executive Director and COO John Callen announced today. Gonzalez’s appointment is pending ATP World Tour approval. Gonzalez takes over the reins of Atlanta’s premier professional tennis tournament—an ATP World Tour 250 event—as it moves into its fifth year. The BB&T Atlanta Open is the first men’s tournament of the nine summer events in the Emirates Airline US Open Series leading into the US Open. The tournament is owned by USTA Southern and the USTA. Gonzalez moved into the position today. The 20-plus year Atlanta resident had been Athlon Sports Vice President of Sales/National Accounts for 14 years. 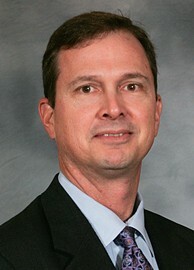 Gonzalez also served on the company’s Leadership Council for the last two years. Gonzalez is well known to the Southern tennis community after working as USTA Southern Director of Sales & Marketing from 1990-97. He was the first full-time USTA sectional staffer dedicated to sales and marketing in the country. Bud Spencer, President and CEO of USTA Southern, noted Gonzalez has been a dedicated volunteer, serving as a USTA Southern board member from 2007-10, a BB&T Atlanta Open Business Development chair, USTA Membership Committee member, chair of the USTA Southern Marketing Committee, co-chair of the US Open Member Appreciation Day event and on numerous other committees. He has also volunteered for other collegiate school and non- school fundraisers and events. Gonzalez has a long list of accomplishments on the tennis court. Besides receiving bachelor’s degrees in Speech Communication and Political Science from North Carolina State University, Gonzalez was the captain and MVP of the varsity tennis team. Additionally, he has been a state, sectional and nationally USTA ranked player as a junior and an adult as well as an ALTA city champion. The entire Gonzalez family is passionate about tennis with wife, Jennifer, a USTA volunteer, and a daughter and son, playing as state, section and nationally ranked juniors.